This incredibly delicious sandwich has a few steps but it is worth every minute. 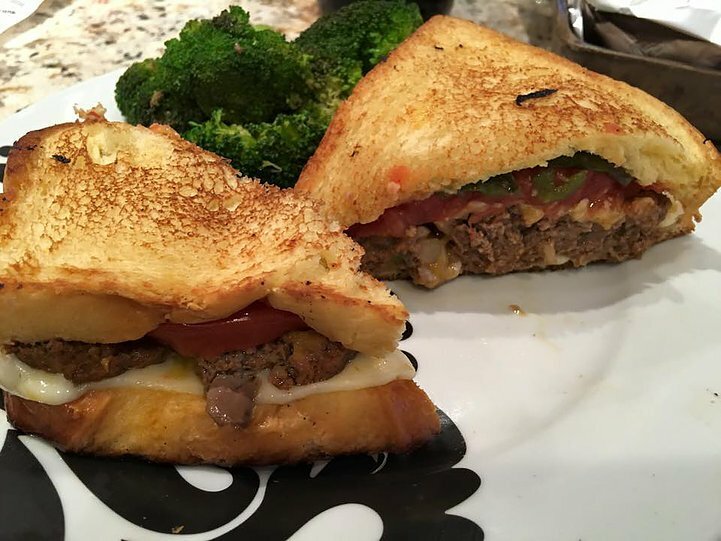 Hot gooey cheese, spicy chorizo meatloaf, grilled tomatoes, and spicy jalapeños make this sandwich delicious! I also love the french brioche bread! This is a little more decadent than what we usually make. This is a perfect example of a compromise we reached; he still got his big burger, but it’s made with all fresh ingredients. Roasted Jalapeño and Chorizo Meatloaf Grilled Cheese. That's a mouthful for sure! Mix all meatloaf ingredients together. Form into a meatloaf shape and bake in the oven for 35-40 min until done. While meatloaf is cooking, line a baking sheet with parchment paper. Toss the jalapeños with 1 tbs olive oil, some salt and pepper and place on the prepared baking sheet. Bake at 425 deg until the skin is blistered, 10 to15 min. Cool. Remove the seeds and slice. Set aside. When the meatloaf is done, assemble the sandwiches. Heat a griddle or frying pan and add butter. Lay the bread on the griddle. Top 4 slices of bread with Havarti and four slices of bread with Cheddar. Top each Havarti slice with a thick slice of meatloaf. Place tomato slices on the griddle, sprinkle with salt and pepper, and grill on each side for 1 minute. 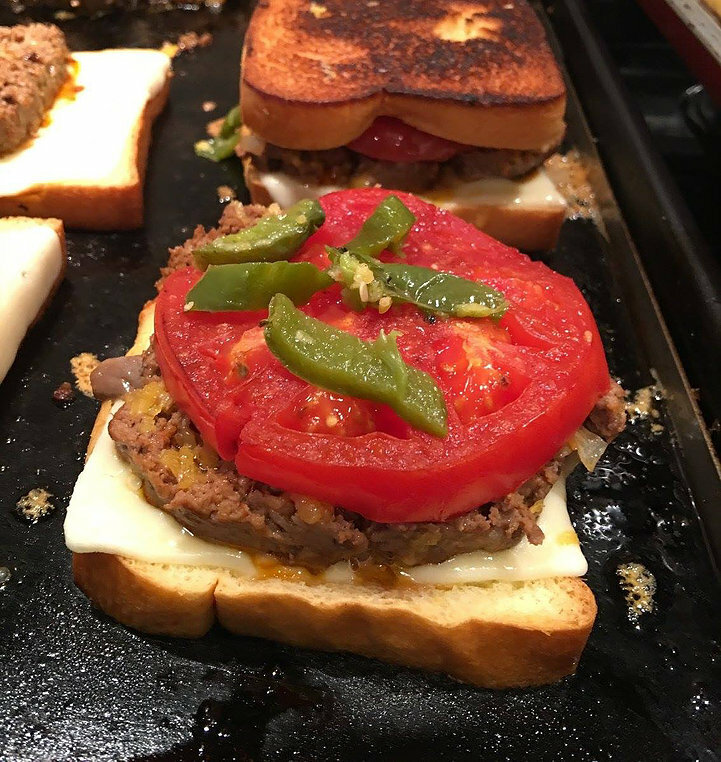 Top each piece of meatloaf with a slice of tomato and some sliced jalapeños. When cheese is melted, turn off the griddle. Put both sides of the sandwich together. Cut in half. Enjoy!